If you’re like most recruiters, having a conversation with a prospective driver about the results of their background reports is not your idea of a good time – especially when you think it contains something about which the driver may not be aware. Nobody wants to be the bearer of bad or unexpected news. To relieve you from these sometimes difficult-to-have conversations, Tenstreet is happy to introduce a free background report sharing feature available to all your drivers (not just your Pulse users). PSPs are available if you order and pay Tenstreet for PSP reports. Update: MVRs, CDLIS, and Employment History Reports can be shared with drivers as well! Criminal Background Checks coming soon! A new Background Report toggle has been added to your Pulse Control tool inside your Xpress dashboard. Anytime you order a report from Tenstreet through the Xpress dashboard, the Driver Pulse app will send the driver a push notification alerting them that their report is now available for viewing in the app. For drivers who aren’t yet using Pulse, they’ll receive an email or text (that is, if your company is using our Texting service and if the driver has opted in). These drivers will be able to view their free report by visiting pulse.tenstreet.com. to give greater clarity to drivers (by giving them free access to their crash and inspection history so they might have the opportunity to dispute any discrepancies). Simply put, it’s just a whole lot easier to have a conversation with somebody when you’re both looking at the same thing. For exact roll-out dates, please keep an eye on your login notices – we’ll be sure to let you know exactly when this functionality becomes available to you. Please keep in mind of course that supplying a copy of this report doesn’t relieve you of your responsibilities under the FCRA, should you decide not to hire the driver based on the content of the report. The Pre-Employment Screening Program (PSP) provides carriers, drivers, and other industry service providers access to a five-year crash and a three-year inspection history, straight from FMCSA’s database. Normally, a report would be requested by companies conducting pre-employment screening before onboarding a driver. PSP reports provide carriers with data that helps them assess the potential safety risks of a particular driver. In our previous blog about PSP, we refer to the program as a “voluntary must”, due to the positive impact it has had on the safety of America’s roadways. According to a safety-impact analysis released by FMCSA in 2013, carriers using PSP have, on average, decreased crash rates by 8 percent, and driver out-of-service (OOS) rates by 17 percent. 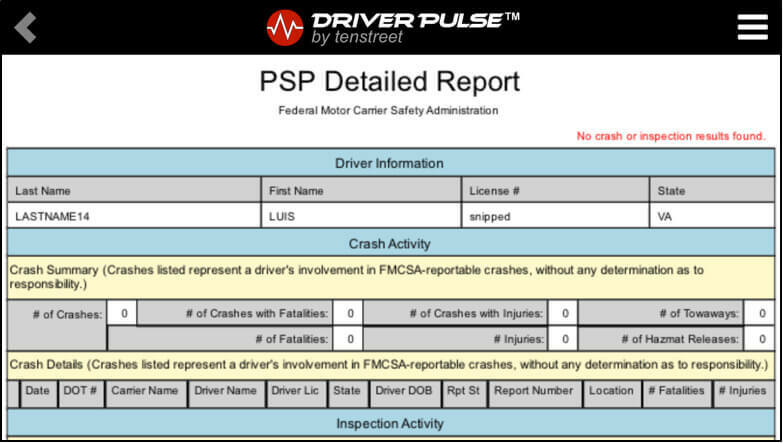 Didn’t know you could order PSP reports through Tenstreet? You can! Just as with a driver’s application, documents, and pictures, PSP reports are automatically attached to the respective subject record. Tenstreet only charges a $2 convenience fee (making the cost $12/report), with no monthly fee. If you don’t use it, you don’t pay for it. Contact your advisor today to get PSP Ordering added to your Xpress Processes tab. Please let us know your thoughts and/or any questions in the comment section below! We look forward to hearing from you. Hi Timothy, let’s see if we can’t get this resolved. I’ve sent a ticket to drivers@support.com for you, one of our team members should be reaching out shortly. Thank you, and our apologies for the frustration! 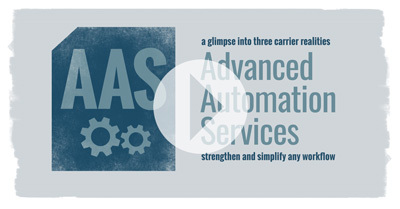 Watch the Advanced Automated Services Webinar and learn how we can simplify and strengthen your all of your recruiting, onboarding and safety processes!